Capcity 100 ml to 300 ml Fully SS GMP model.With heavy duty body & heavy moter. We have trusted names for offering a wide range of Mineral Water Filling Machine in bulk quantities. We are engaged in providing Liquid Filling Machine. Our products are developed under the leadership of skillful experts in compliance with worldwide industry standards. 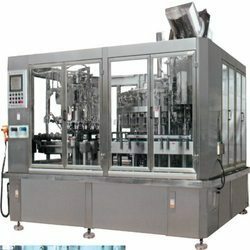 Semi Automatic filling machine for filling liquids. - Simple and compact structure. - SS construction, easy to wash.
Splection Machine Manufacturing Private Ltd. Features: Simple in design Esay to operate & maintain, Highly accurate Low maintenance. Supplier & Manufacturer of Rotary Piston Filling and Sealing Machine & Monoblock Rotary Piston Filling and Sealing Machine. 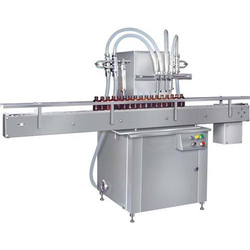 Our product range also comprises of Liquid Filling Machines, Rinsing Filling Capping Machine and Cap Sealing Machine. We offer wide range of Monoblock Rotary Piston Filling and Sealing Machine.